A few weeks ago for a conference put on by the Wosk Center for Dialogue at the Simon Fraser University in Canada, I was asked the questions: How is sustainable development different from conventional economic development?…and, What are we trying to sustain? 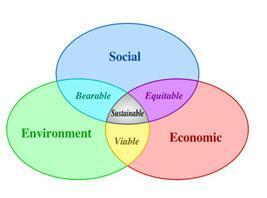 The same questions came up again yesterday regarding financial policy initiatives to create “sustainability”. I find the term sustainability used carelessly in the political rhetoric of today, as cultures and technologies are dynamic and further, can never yield sustainability of any sort. I think that if we (human kind) are to produce any type of resilience, the domestic and global culture will have to become as dynamic as our cultural and technological extensions. Too often people regard technology as other than human, when it is in fact an extension of our human ability. I don’t think that there are any politically or economically progressive or protectionist mechanisms available that we can implement to sustain societal quality of life. 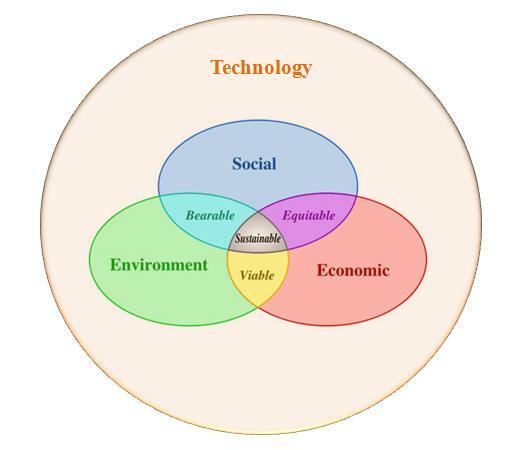 Sustainable development is coined around the internet by authors and scholars in agreement that it involves a synergetic existence of 1) Socio-cultural 2) Environmental 3) Economic solutions. The graphic below says it all. Per the conventional understanding of economic development, “sustainable” development only factors in one extra element, which is the environment. 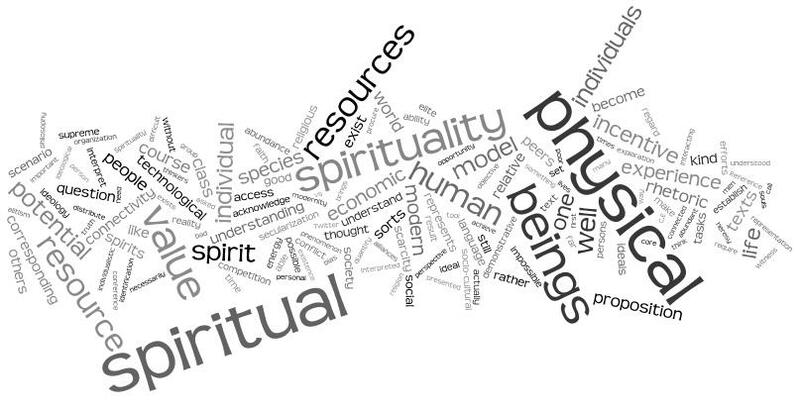 From an architectural or civic engagement perspective this aforementioned 1,2,3 paradigm is sufficient, but from a broader philosophical and PEST (political, economic, socio-cultural, and technological) perspective the most modern ideal of sustainability will always fall short of actually being sustainable. To be redundant: we live in a dynamic world of innovations – cultural and technological changes. There is no rigid fix for something that changes. The second questioned referenced earlier is the question that we should all try answering, as the current representation is too narrow in my opinion. Having worked on private and public economic development initiatives, I find that we commonly lack comprehensive solutions to problems because we lack a comprehensive understanding of our problems. In engineering it’s called root-causing the problem. When thinking of what we are trying to sustain, more than a specific part of the environment or a cultural comfort or an economic regime, I think that our ultimate goal is to sustain our quality of life during times of omnipresent change. In order to meet the last statement with adequate action we must ensure that our societal normative is constantly under scrutiny. The diagram above lacks a technological region that should ideally consume its entire existence. In order to actually sustain our quality of life we need to be agile from an ideological standpoint in all of the PEST (political, economic, socio-cultural, and technological) areas, not just from an environmental standpoint. Human interaction with the environment is a direct result of our understanding of where we can afford to be progressives and where we can afford to be protectionists. Because of these phenomena our society at current day is not sustainable. While technicians and economists of sorts are devising solutions to prolong some of the problem management that ail our modern societies, they can’t actually remedy society’s lack of agility. Sustainable development should be defined as – a set of technological initiatives to produce an astute societal awareness of the social, economic, and environmental realities. We must be agile enough to take action as societies change due to cultural and technological factors.